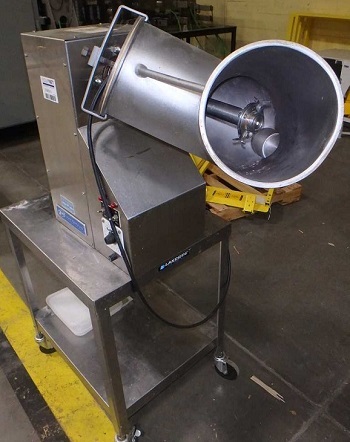 Used Patterson Industries Lab sized Twin Shell Blender with Liquids solids agitator. Features: 16Qt Shell, Cantilever style shell and drive with Liquid-Solids bar and union. On Stainless Enclosed base with Clamp style covers and discharge.